6 Interior Design Ideas To Enhance Your Home – Without A Renovation! Sometimes we all need a little inspiration when it comes to interior design ideas. Working with my clients on interior design projects each and every day brings about grand ideas, especially during renovation projects. While many projects we work with are large in scope, often taking weeks – if not months – to complete, it can intimidate some homeowners from time to time. Budgets, time spent away from your home, and plenty of planning can be a great deal of work for some of us. Though you want to make changes to your home, giving it fresh life as you enter a new season or embark on a new journey in your life, rest assured that it does not always need to come in the form of a massive renovation. 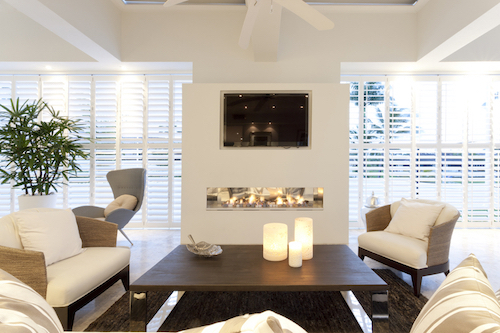 You can enhance your home with some small and simple interior design ideas. What are these changes, you might ask? That’s exactly why we’ve written this blog to help you re-style your home for an upcoming season – with no down-time needed. 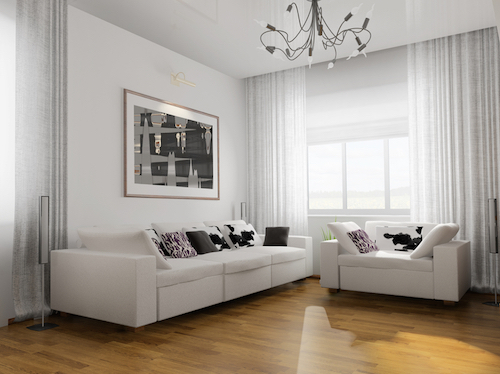 Here are 6 ways you can enhance your home with small interior design ideas. It truly is remarkable how much you can enhance a room with select items, such as a new area rug and a few cushions. This small change can work very well in a living area, for example. You might have an area rug that is dated, or perhaps your floor is currently bare. Whatever the case might be, finding a beautiful area rug and eclectic throw pillows can turn a room around completely. You know those old blinds you simply can’t stand? It’s time for a change! There are plenty of fabulous window treatments and blind ideas on the market, for apartments to large homes. Curtain panels, roman shades, solar shades, sliding panels and more can all create very different feelings when it comes to any room in your home. 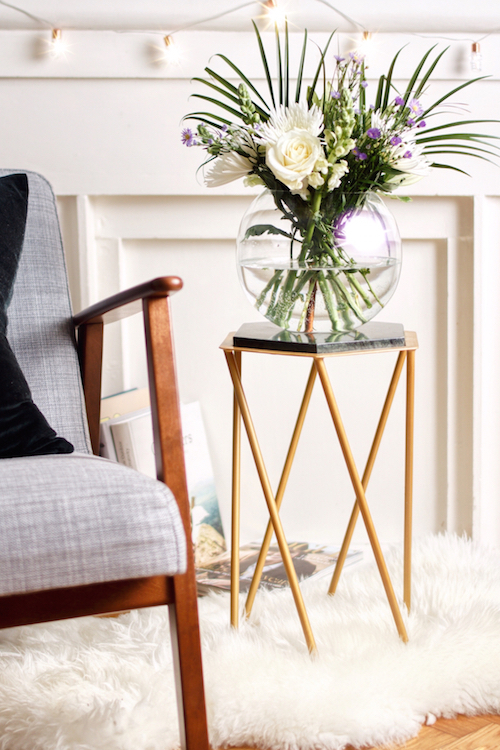 Who doesn’t love coming home to fresh florals? After a long day in the office, the scent and aesthetic of bright flowers will illuminate your room. Choose your blooms, bunch stems together and place in a beautiful vase. Your home will thank you. At MDK Designs, you know how much we love our mirrors. Not only is a floor-to-ceiling mirror just a must-have for any closet, it can be extended to the entrance hallway, too. Especially for smaller spaces, such a mirror can help the room feel truly larger than life with an addition of a simple, full-length mirror. 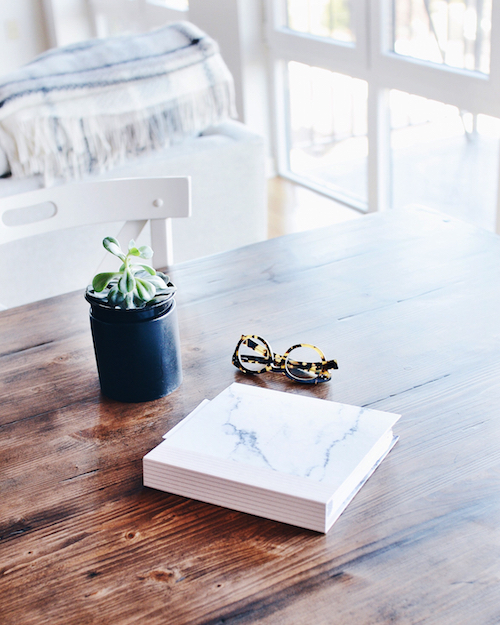 We’ll be the first to admit that a coffee table can be a fixture in our homes that simply collect books, paperwork, remote controls and more. Re-styling your coffee table can bring about change into any home. Grab your favorite hard copy books, that fresh vase of flowers (as above) candles, or personal trinkets that are of value to you. Arrange in such a way that showcases your personality. There are many reasons to love such fragrant accessories for your home. They make for an excellent welcome into any room, making it feel inviting and appealing. In addition, candles can make for great accessories on your living room’s coffee table, in your hallway or a guest bathroom. Be sure to arrange based on the season; for example, citrus in the Summer and pine in the Winter. Making changes to your home doesn’t need to come with a hefty check or a full renovation. Simple updates, such as our 6 interior design ideas above can create small, yet impactful change. What will you start with this Spring?